Posted on July 3, 2017 at 1:46 pm. The Philippines casino and gambling regulator, has given Resorts World Manilla (RWM) the green light to reopen. Following the arson attack at the Philippines casino, where a man armed with a gun broke into RWM and set fire to the gambling tables leaving 37 dead, the country’s gambling regulator suspended operations. But the gaming regulator revealed RWM met the sufficient requirements to reopen and continue operations, just one day after media outlets reported the financial plunge. The gambling authority allowed the casino to reopen on June 29 as it reportedly increased its “security and safety” features. These include a new security agency and more x-ray machines and metal detectors, as well as guards with firearms. RWM president and chief executive officer, Kingson Sian, said gaming operations have resumed on the first and third floors of the integrated resort. “The second floor (where the attack took place) will no longer be used for casino operations and will be utilised for other non-gaming purposes instead,” Sian said. He added RWM can now start rebuilding with PAGCOR’s help. The casino will be under intense scrutiny with ongoing reviews of security protocols and additional safety seminars for employees to be conducted. When it comes to fire safety, the casino successfully obtained a Fire Safety Inspection Certificate and “had professional structural engineers assess building to ensure structural integrity”. PAGCOR did mention the significant monetary impacts the casino closure was having stating it “lifted the suspension order in consideration of TIHGI’s 6000 gaming operations workforce”. The regulator also revealed government losses of around P14 million a day to P434 million a month due to the closure. Chairman of the House Committee on Metro Manila development, Quezon City Rep. Winston Castelo, said he sees nothing wrong with the casino reopening. “If they have complied with all the requirements set by PAGCOR on safety measures, there is no reason to keep the suspension,” he said. In May, the country’s Department of Finance (DOF) announced the government will sell PAGCOR’s state run casinos to clarify its role. 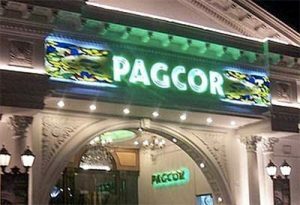 PAGCOR is currently a regulator and an operator, with many noting the possible conflicts of interest. The DOF recently revealed it believes the government will still earn money from the state-own casinos once they are sold. Finance Secretary, Carlos G. Dominguez III, highlighted the additional tax revenues the government will receive while also noting the higher license fees PAGCOR will get from the casino’s future owners. “The revenue stream will still come from the government because they have to pay taxes,” he said. We’re not saying that once you are privatised, you are not supposed to pay taxes anymore. But PAGCOR chairwoman, Andrea D. Domingo, said the government will lose P24 billion if the casinos are privatised. “We have to figure out how we can still retain [that amount] because the income of the Pagcor owned and Pagcor operated casinos is P2 billion a month, or P24 billion a year, equivalent to about 40 percent of our total gross revenues,” she said. Dominguez still believes PAGCOR should just be a regulator, not an operator too. “Privatisation is like selling your assets, so how can you say I’ll sell my assets—let’s say you own an apartment—I’ll sell it but I still want the rental, how can you do that?” Dominguez asked. He added the government believes PAGCOR’s casino regulatory functions are more important. If you’re looking for a regulated online casino, we recommend playing at Bovada Casino due to the secure games on offer for players from United States.